Myth: Individuals with autism always have hidden or exceptional talents. Stephen Wiltshire, 34, is best known as the human camera. He can replicate architectural designs and landscapes down to each blade of grass — even if he is only given one opportunity to observe the area he is drawing. Wiltshire has reproduced panoramic scenes of Tokyo, Rome and London by memory after one short helicopter ride over each of the cities. Wiltshire is an autistic savant. That is, he has extraordinary cognitive skills that allow him to recall details of designs, numbers and measurements that are normally considered too difficult to remember. The concept of an autistic individual as a savant may have been popularized by Dustin Hoffman’s character in the movie "Rain Man." But while we acknowledge that there is a minority group of individuals with autism who have unusual islets of skills, savants are an unrealistic portrayal of the majority of individuals on the spectrum. Most do not have talents or skills that distinguish themselves by extraordinary talents. Myth: Autism is an emotional or mental health disorder. While physical or social behaviors of individuals with autism may suggest that they have a psychological disorder, autism is actually a biological illness that affects the brain’s growth and development. "In the case of autism, the parts of the brain that are most affected seem to impact three areas of functioning," said Michael Alessandri, executive director of the University of Miami’s Center for Autism and Related Disabilities. "Social behavior, communication and restricted and repetitive rituals and routines are ways that the child or the adult with autism interact with the environment." Although autism is now understood to be a neurodevelopmental disorder, autism can still be considered a complex disorder because its range of symptoms is so diverse. "Scientists and clinicians now understand that autism is not a singular entity, but rather, a variety of syndromes that … create the autism spectrum disorders,"
Myth: Repetitive or ritualistic behaviors in autistic children should be stopped. One of the classic indicators of autism is repetitive and ritualistic behaviors, according to the Diagnostic and Statistical Manual of Mental Disorders (DSM IV), a physician’s tool to diagnose autism. While these behaviors — which can include hand flapping, banging on walls or rocking back and forth — may seem odd, they do have a purpose: they can be calming; they can feel good; and they may help the individual communicate with others. Myth: There is no such medical condition as ADHD. ADHD is a medical disorder, not a condition of the child’s will. A child with ADHD does not choose to misbehave. Myth: ADHD is caused by bad parenting. All the child needs is good discipline. About 70% of children with ADHD continue to have symptoms during their teen years and about 50% have symptoms into adulthood. Myth: People with Asperger’s lack empathy. Empathy is a complicated concept. Some researchers have divided empathy into four components: two called “cognitive empathy” and two called “emotional empathy.” People with Asperger’s struggle with cognitive empathy but have no problem with emotional empathy. In fact, backwards writing and reversals of letters and words are common in the early stages of writing development among dyslexic and nondyslexic children alike. Dyslexic children have problems in naming letters but not in copying letters. Myth: More boys than girls have dyslexia. Boys’ reading disabilities are indeed identified more often than girls’, but studies indicate that such identification is biased. The actual prevalence of the disorder is nearly identical in the two sexes. Yearly monitoring of phonological skills from first through 12th grade shows that the disability persists into adulthood. Even though many dyslexics learn to read accurately, they continue to read slowly and not automatically. Tune in this Sunday for a special program on children with unique challenges and the new treatments and programs available to help them be successful. 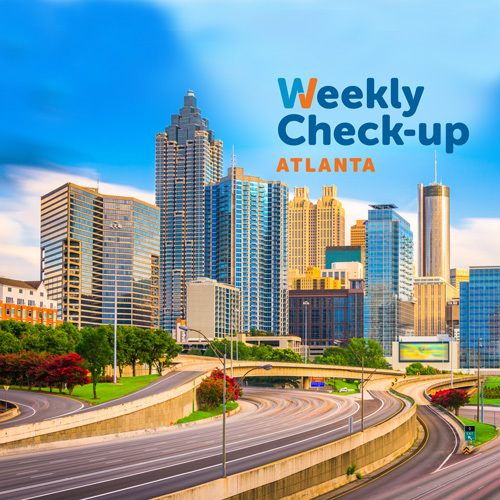 We will be joined by Dr. Pete Scire of Brain Balance Centers of Atlanta to discuss neurobehavioral disorders from ADD to autism. Dr. Peter Scire, "Dr. Pete," is the director of Brain Balance Centers of Atlanta. As a child diagnosed with a Learning Disability and Dyslexia the road to becoming a doctor was literally impossible….or so he thought. "My parents eventually brought me to a practitioner of alternative medicine. He helped me rid my body of toxins and he also found I was allergic to many foods. It was the combination of traditional and alternative approaches that led to my recovery. It was an extremely slow process however, and it took many years and tens of thousands of dollars! My California Achievement scores went from the 20th percentile to the mid 70th percentile. And by fifth grade I was scoring in the 90th percentile. I was a scholar athlete and went on to graduate at the top of my class in high school. I even earned the distinguished achievement of Davidson College July Experience for honor students from around the United States. I knew what I wanted to do for the rest of my life! While in graduate school I took a special interest in neurobehavioral disorders. One of my teachers was Dr. Robert Melillo, author of Neurobehavioral Disorders of Childhood and the co-founder of Brain Balance Achievement Centers, Inc. He spent over a decade of his life developing protocols to recover kids suffering from ADD/HD, Dyslexia, Learning Disorders, Tourette’s, and autism spectrum disorders. He inspired me to do what I do today. 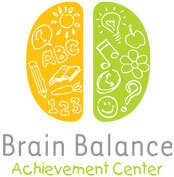 Today, I am the director of the Brain Balance Achievement Center in Suwanee, Georgia. I feel I have a unique connection with the children in our center, as I have overcome most of the frustrations and struggles they are dealing with. I know how embarrassing it is to not be able to read. I know the anger they feel when made fun of by their peers. I know what it felt like to not have many friends. But I also know that change is possible. And I witness these changes every day in our center. Because of the breakthroughs in brain science, dramatic changes can be made in a matter of months, not years."